Why Antivirus software is ineffective? SpyShelter is a real time protection application, which monitors vulnerable and weak spots in your system. Once a dangerous action is detected, SpyShelter will immediately stop it, before the execution of malicious code takes place. SpyShelter relies on detecting suspicious actions rather than using malware-database, therefore it can detect malware before anti-virus labs even discover the threat. 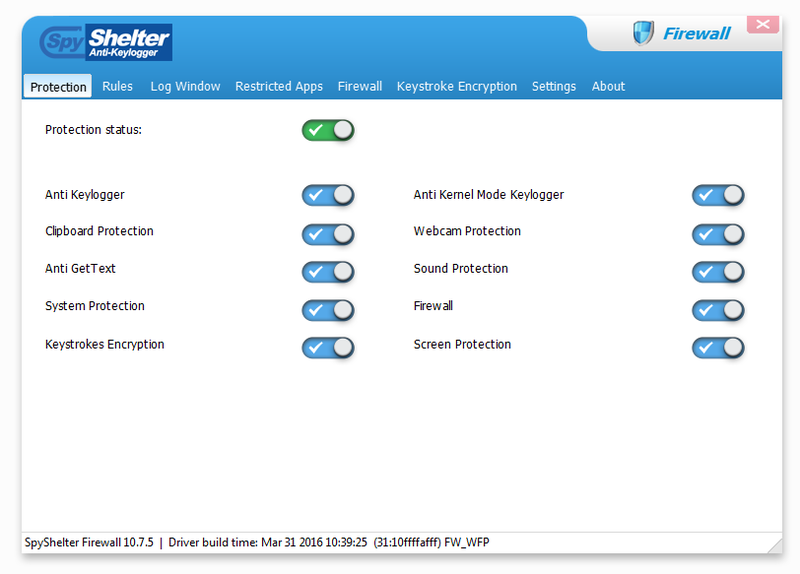 SpyShelter protects against keyloggers, webcam loggers, trojans, RATs and other malicious applications which aim to steal your data. SpyShelter ensures that the sensitive data you enter and store on your computer will not get stolen by criminals for their own use. 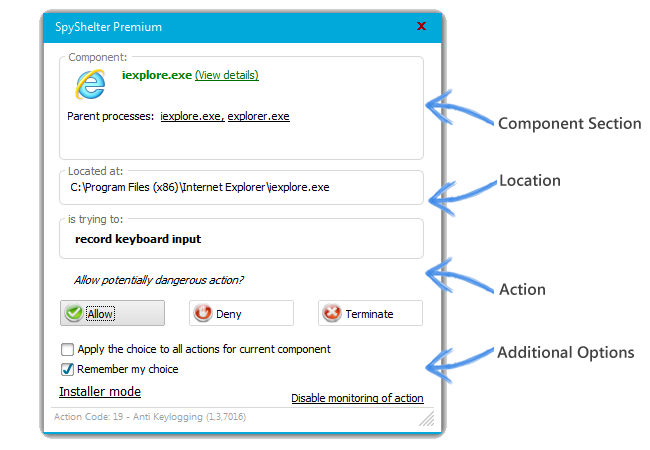 SpyShelter is an award winning anti-keylogger which was specifically designed to stop all monitoring activities. More detailed information about SpyShelter are available on website. Stat with Home Page. You can use SpyShelter for free for 14 days since installation. No registration required. Would you like to learn more? Leave us a message. We guarantee a same-day response.